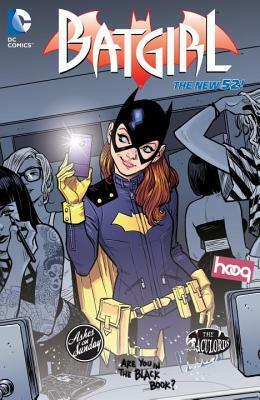 When Cameron Stewart reworked Batgirl for DC, I avoided it. It got a lot of positive press about making her more hip and realistic, but I thought they were kind of throwing Gail Simone under the bus. Meanwhile Simone said in interviews that she had tried to rework Batgirl in a similar way and wasn’t allowed. Oh well. Word is, the new book was good and now I have proof. Books where the main character is an early-twenties oh-so-hip woman ‘out on her own’ are a little bit of a cliche. (Take a look at the trailer for the new Supergirl tv show and you will see what I mean.) But this one works by giving us a nice set of supporting characters (though it is interesting to see that the first thing Stewart did was jettison the previous set just to make them more into what he wanted). The villains are a bit… hokey, but the setting and character work.